Air is the carrier of sound waves. If not hermetically sealed off by air locks, all the rooms, nooks, crannies and closets in a house including the refrigerator, oven and all furniture with doors communicate with each through the air. Traditional heavy damping can absorb excess acoustic energies. But such damping also tends to kill off the finest harmonics, dumbs down the performers' tone modulations and dries out harmonic textures. Overdamping further undermines the swing of free timing. If one addresses air disturbances directly (primary causes are the loudspeakers and how they interact with a room's geometry), the quality of sound propagating through the air improves automatically. This is a direct cause/effect result and our acoustic resonator technology strategically exploits it. 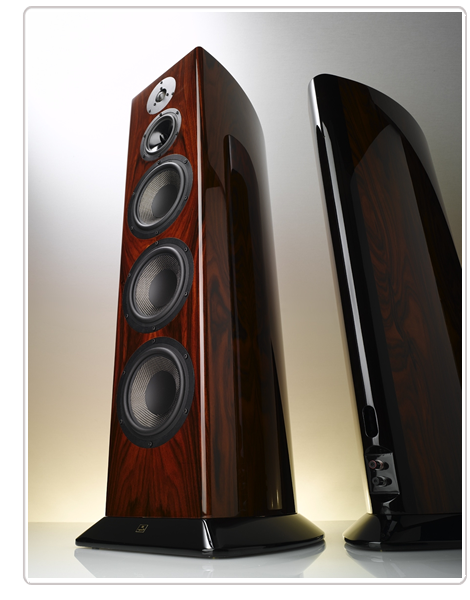 Our Tango speakers avoid any internal damping or fillers for the same reason. Instead, a series of interconnected breathing bores evens out the air pressure differences between the three discrete internal chambers and, via the spinal holes, between the backs of the drivers loaded into the chambers and the room. This also flattens out the speaker impedance. Three acoustic resonators based on the Pro models but smaller line up in front of the oval bass chamber bore to reduce turbulence. 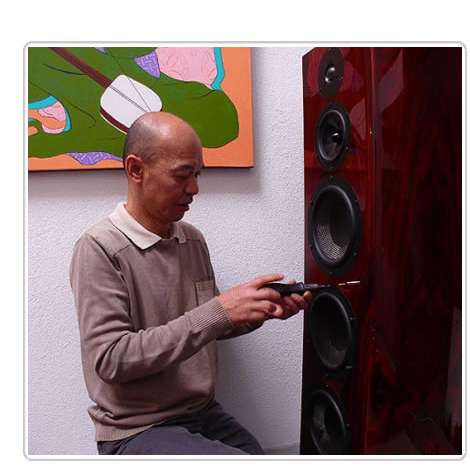 This benefits improved harmonic transmission and makes a silk dome tweeter perform like a hyper expensive diamond unit. Our HeartSong racks use decompression holes in their shelves and lower legs very similar to the two small upper bores in the Tango's back and inner chambers and the small holes in the RCA barrels and bayonet bananas. These details and more evolved from the acoustic resonator approach of converting air pressure to tension. Our LiveLine cables adapt the resonator metallurgy of precious metals and alloys to the active signal path. This applies my experience with the acoustic properties of specific metals to achieve minimal group delay, high propagation velocity and undiminished harmonics in signal and power delivery cables. 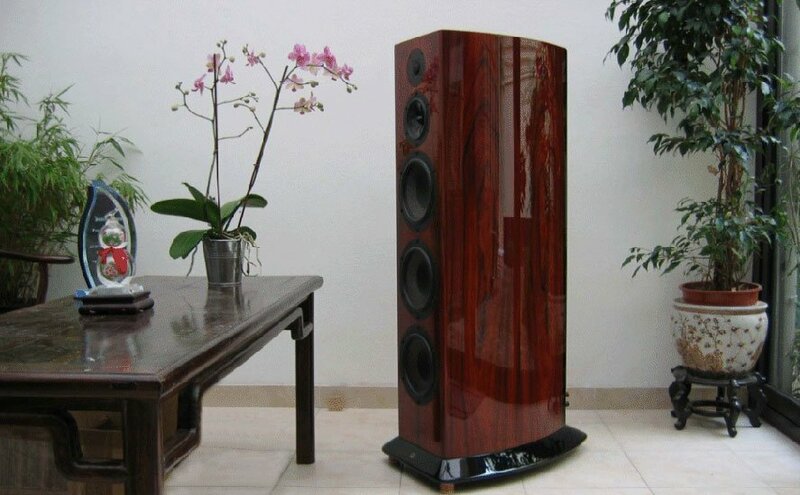 “Brilliant implementation of new ideas on acoustics and speaker design. Don't let the conventional appearance and driver assortment fool you. This is not a conventional speaker. If you 'get' what it is about, little if anything else will satisfy." Srajan Ebaen | 6moons.com | hier downloaden.